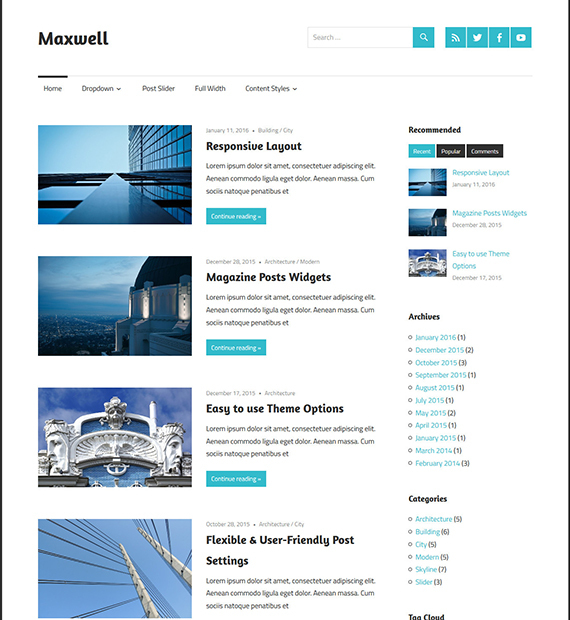 Anyone looking for a minimalist and clean looking WordPress theme is going to be pleased with Maxwell. This free WordPress theme comes with a beautiful and elegant magazine-style design. With a ton of options for typography and post layouts, it is also quite flexible. You will also be able to make your posts stand out through the amazing featured posts slider feature. It’s responsive design also ensures that your site runs well across all devices.